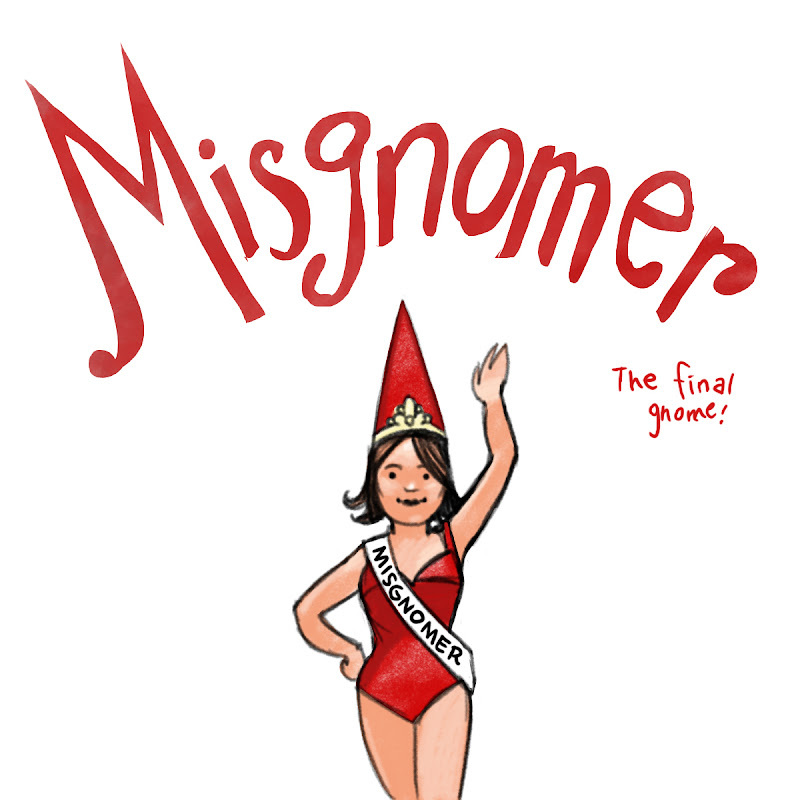 And here she is, the final gnome, "Misgnomer!" Brought to you by commenter Nathan. All of your gnomes have been summoned! S0, who was your favorite gnome of the 24? Vote in the comments. I don't know what I'll do with the winner, I can't promise a full-on Percy-esque story, but you never know. Gname your favorite gnome! We'll fire up something new tomorrow. I like bernard, the fishing gnome. I think his expression is priceless. Otherwise, I love Gnorf the best, and then Gnatlia and Gnotoli or whatever next. I'm not trying to cheat with extra votes, but...well, yes I am. It's too hard to pick. At least I rank-ordered them, right? I think Scintellshine is pretty cool. It would have to be Gnatalia and Gnikolai--that drawing begs a story! I like the GI gnome troop. I gotta wonder what sort of military actions gnomes are involved in - bunny removal? Epic battles against marauding beetles? It's cheating, because they're mine, but Gnatalia and Gnikolai. But after them, Heimtraud, with Aquafusia and Gnorf close behind. It's so hard to pick a favorite! I think it would be impossilbe to make a gnome story without using a lot of these characters a supporting 'actors' anyway. Below I've ranked in order the leading actors of a story I'd like to see.